JAMMIN’ DJs had its debut broadcast at the Sports Authority field in the Mile High City on September 17th 2011. To kick off the CSU & CU ‘s biggest game of the year JAMMIN’ DJs generated a promotional video highlighting the over 10,000 events and services that JAMMIN’ DJ’s and it’s sister companies has had the honor of performing over the last 11 years. JAMMIN’ DJs has been supporting and providing the best DJ & Entertainment services in the Denver Colorado, Northern Colorado, Front Range and Colorado Springs for the past decade. Unlike most DJ services JAMMIN’ DJs has proudly been the most professional & technologically advanced DJ services in the area. With the largest DJ staff in the area JAMMIN’ DJs has also given back to the community by providing its services for fundraising,charities and even contributed to the economy with its rapid growth over the past 10 years. Here is a little bit our owner John Murray and his tenor over the past decades. 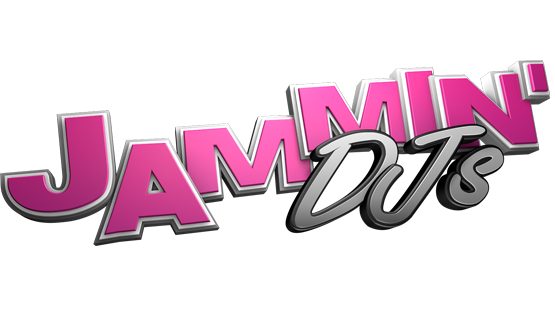 JAMMIN’ DJs, Inc. has become one of the most recognized and requested entertainment services in Colorado. John has performed at numerous events such as the NBA All Star Game, The Denver Bronco’s VIP Tail Gate Parties, The Bud Light Party Cruise, Corporate Awards Ceremonies, The Auburn University Arena Opening, Sports Commission Events, and Numerous Other High Profile Events. John has also been in the entertainment industry since the age of 16 and has worked with multiple disc jockey companies, night clubs, radio stations, sports teams, and even a television station. John is also currently Entertaining people across the world as a PA (Sports) Announcer for the World Famous Harlem Globetrotters! John is also currently announcing some sports for the Colorado Buffaloes during his off time with the Harlem Globetrotters. Colorado State University and more! He uses his entertainment diversity to expand his business and provide his clients with premier entertainment. This was no fluke as John Murray and JAMMIN’ DJs has been building the professional and personal relationship with the Colorado State Sports Commission. Over the last 10 years JAMMIN’ DJs and owner John Murray have been providing solid and exciting performances for CSU and the commission. Jammin’ DJs has been the sports voice at CSU providing quality entertainment for several events throught the companies professional career. JAMMIN’ DJs has been featured on several popular wedding sites as weddingwire.com and has ranked #1 over the last 4 years on The Knot Denvers most popular wedding site. Be sure to check out our sister companies Infinity Entertainment, JAMMIN’ Trivia, JAMMIN’ Schools, and JAMMIN’ Pong!